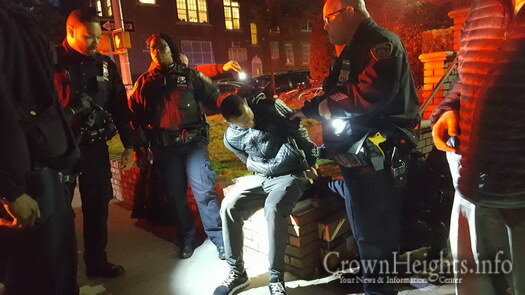 A thief, who was caught on surveillance video stealing packages and blatantly inspecting the goods in plain view, was apprehended by Shomrim after a sharp eyed volunteer spotted again him searching porches for more packages. 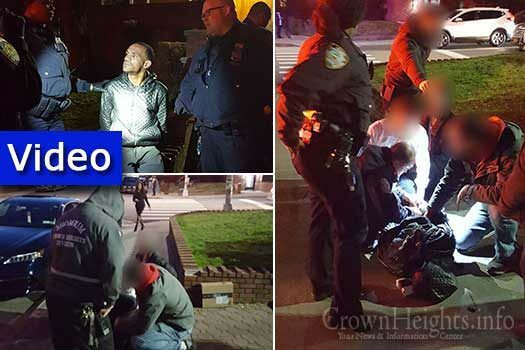 An alleged thief, who was captured on surveillance video stealing packages from a porch last week, was at it again Tuesday evening, only this time he was spotted by a sharp eyed Shomrim volunteer, who after alerting other Shomrim volunteers they set out to keep an eye on him while he went from house to house on Montgomery Street in search of packages and waiting for him to strike. 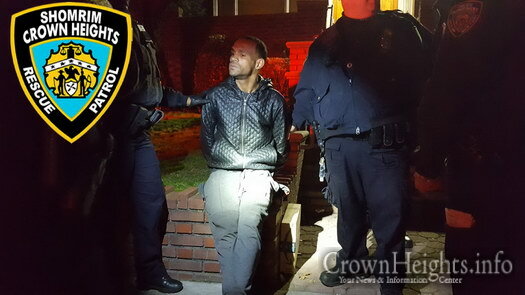 Once again the suspect made his way up and onto the porch of another Montgomery Street house and began opening packages that were delivered a short while earlier and took the items inside. 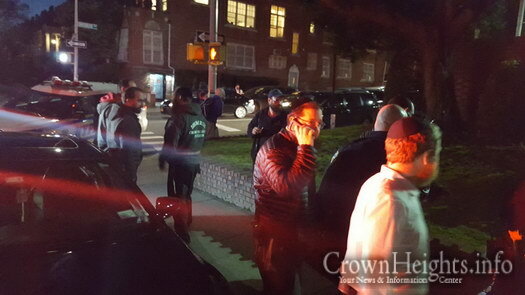 As he began making his way down the stairs, a group of Shomrim volunteers grabbed him, immediately called 911 and held him until police arrived. Once police did arrive, he was immediately taken into custody and police recovered an expensive pair of headphones along with some other electronics. He was then placed under arrest. 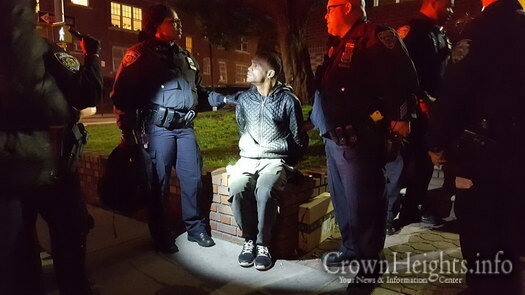 Police sources told CrownHeights.info that thanks to clear surveillance video from the package theft last week, he will be charged with that theft as well. BUT, William Wilhelm Junior states that crime is way down. Will the police actually do something? Will this case ever get to criminal court? And, what will the Judge do? Just a slap on the wrist…do not do it again, you are free to go? If he stole ANYTHING that was handled by US mail, then THAT is a FEDERAL crime. Is this guy an illegal alien? If so, also charge him with trespassing! Send him back. crime is going down as the cops don’t respond, this is a known thing. NYC is a sanctuary city so no illegal is deported we don’t break walls we build them remember unless its by gracie mansion. This low life was caught on video twice, and nabbed with the stolen goods in his dirty hands. Maybe the community can show up in force at his hearing and demand “no Justice, no peace”. Oh wait, forget the chanting. We will just sit there respectfully so the judge sees us and knows we care. 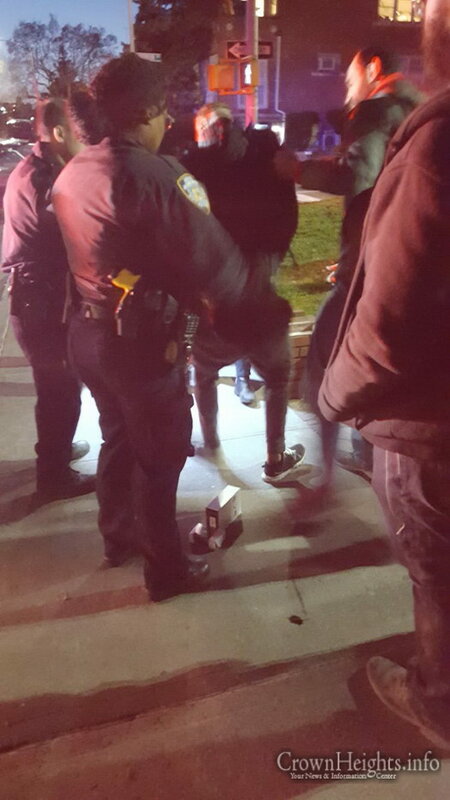 Big yasher koyach to Shomrim members who try to keep our community safe and as crime free as possible while the cops are busy eating donuts. The police would never have investigated this or made the arrest if not for the Shomrim. Keep up the good work. Happy Purim. 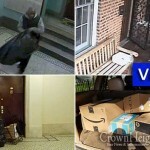 Why are packages left on porch to be stolen? You used to have to sign to get a package delivered. You used to have to sign for a package. Why are they left in open to be stolem? As Kenny Rogers said “you got to know when to fold”. This dude did not. Stupid guy he is. Thank gd he got caught red handed. Idiet he is. I have no respect for that mamzer. 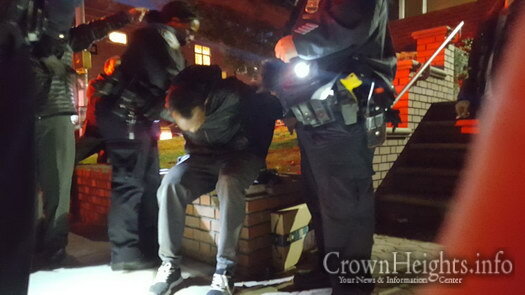 Shomrim keep up the good work. Kol Hakovod. He’s not as stupid as you think. He’ll be out on the streets again very soon. I saw him riding his bike this morning (Wednesday). Shame on the DA. 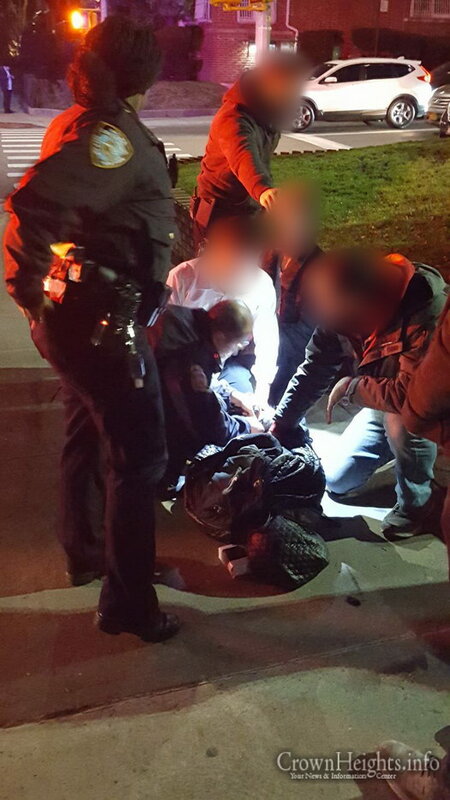 Once Again Thank You Shorim for your ongoing pursuit to keep our neighborhood safe. B.H. 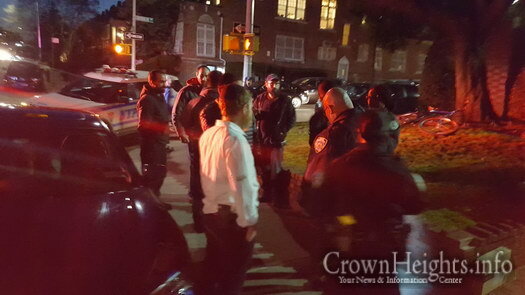 Cheers Shomrim, for being alert, and a job well done to keep our community safe. He should be locked up for 25 years!! Are these cameras everywhere ?